Let’s talk, for a minute, about Motorola. Moto’s had its ups and downs. In fact, the farther back you go in its history, the more a trend of booms and busts emerges. From the RAZR to the original Droid to the Moto X, Motorola seems to have a penchant for releasing brilliant, mass-market products—premium enough to satisfy most, while making reasonable compromises to reduce costs—and then letting it all collapse… until it miraculously transforms itself to unveil its next big product, raising consumers’ hopes for its future products and repeating the cycle. The most recent of these boom-bust cycles began in 2011, when the larger Motorola corporation (now Motorola Solutions) spun off its consumer-facing mobile devices division into a separate company, Motorola Mobility. Not half a year later, Google made a surprise purchase of Motorola Mobility. With Google at the helm and with Motorola’s hardware expertise, hopes were high for the future of “Motorola, A Google Company.” Under new management, Motorola set up advanced technology projects group (poaching none other than the then-director of DARPA to lead it) and began work on a new phone—the original Moto X. Under Google’s direction, Motorola was to develop relatively few smartphone models, focusing on quality over quantity. Further, Moto was to focus on real innovations that would add to the stock Android experience that Google already carefully crafts—real value-added features would take precedence over the useless skins and redundant apps that were found on other OEMs’ phones. Google was essentially steering Motorola to fit their vision of an ideal OEM—an example for the rest of the industry to follow. The hype surrounding the original Moto X was unparalleled. In mid-2013, Motorola announced that the Moto X would be the first smartphone designed, engineered, and assembled in the USA, and it was revealed that despite it being a single phone model, its specs and appearance would be highly customizable. It was finally unveiled a few months later, in the fall, to both fanfare and skepticism. Feature-wise, the Moto X introduced a number of innovations that are widely-praised, and have since been copied and even integrated into stock Android: Active Display allows viewing of notifications without turning most of the screen on; a custom chipset was designed to continuously listen for “Ok, Google Now” voice commands; and Moto Assist changed the phone’s behavior depending on context, reading aloud text messages while you drive, for instance. Instead of dumping useless skins on top and filling the phone with OEM bloatware, Moto presented what was essentially stock-Android with a few software additions that genuinely added to the experience—Moto Assist, Moto Display, and Moto Voice. Google has enough design experts working on the core user experience of Android that there’s really no reason for OEMs to try and make skins on top, and Moto said that the near-stock experience would mean lower development costs and very short wait times between updates. When Google pushes an update to AOSP, there would be little work required from Motorola to integrate it into their ROM. Screen resolution is often caught in the arms-race among OEMs to have the biggest, best everything on a spec-sheet. Motorola rejected this, instead claiming that virtually no one could tell the difference between 720p and 1080p on a 4.7″ screen, and that since a higher screen resolution meant more CPU usage, significantly more GPU usage, and less battery life, it added no practical benefit to the phone. Motorola consciously chose to break from the trend of ever-increasing phone size, instead opting to make a 4.7″ flagship because it determined that this was the size that people actually preferred to hold in their hand. Some people do want phablets, and there absolutely is room in the market for those people. But not every smartphone needs to be a phablet, and Moto decided that among people that didn’t want a 6″ phone, 4.7″ was a sweet-spot—with a high pixel density, it was big enough to read text, but small enough to still use with just one hand. Motorola was adamant that a premium phone shouldn’t come with a $650 price tag. By making the above design decisions, Motorola was able to keep the price down. Near-stock Android meant faster updates and less money spent on useless OEM additions. Low screen resolution meant a cheaper screen and better battery life, allowing them to use smaller batteries than the competition. A small screen size also lowered the cost of materials, and kept the phone ergonomic. And while it did initially launch at a fairly standard $200 on contract and $580 off, Moto coupled that with near-continuous coupon giveaways. Shortly after the launch of the original Moto X, just as quickly and surprisingly as Google had purchased Motorola Mobility, they announced they’d be selling it to Lenovo, pending US regulatory approval. Now, an acquisition by Lenovo didn’t exactly inspire confidence. But Google, Motorola, and even Lenovo were adamant that nothing would change at Motorola. Lenovo is one of the largest smartphone manufacturers in the world, but it has had difficulty cracking the American market. Motorola has always had expertise at developing phone hardware (the Moto X had better LTE connectivity than any other phone on the market, for instance), and the sale was spun as a win-win: Lenovo would gain an excellent smartphone manufacturer, and Motorola would gain the deep pockets of a company experienced with global supply chains and a foothold in developing markets. Lenovo’s mobile branch was supposed to become Motorola; instead, Motorola seems to be becoming Lenovo. The second-generation Moto X came out later in 2014, and Motorola seemed set on fixing the greatest complaints from the previous generation. The first-generation Moto X made a number of compromises on its spec sheet to keep prices down, and while Moto was sure that these compromises didn’t affect the actual user experience of the phone, they made it compare to rival flagships poorly on spec sheets. The second-generation Moto X, however, introduced a larger 5.2″ screen and a better CPU (Snapdragon 801), both in line with the flagship trends at the time. Motorola still kept its philosophy of making reasonable compromises where it could to reduce prices, so it stayed with a 1080p screen (instead of a 1440p one), had only 2 GB of RAM instead of 3 GB, and shipped with a relatively small 2,300 mAh battery. These choices allowed Moto to undercut rivals with a $499 price tag, and like with the original Moto X, it distributed substantial coupons liberally. 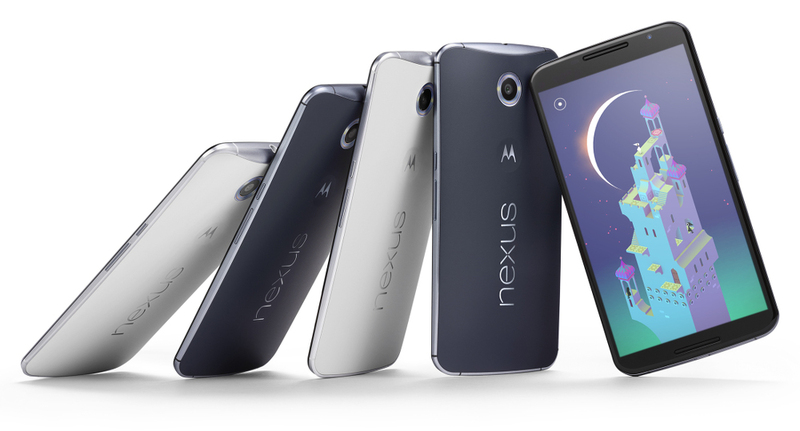 Nexus 6? Moto X Style? Just a few months after the release of the second-generation Moto X, Motorola released the newest Google phone, the Nexus 6. Despite insisting with the 2013 Moto X that people want a one-handed smartphone, and despite the 5.2″ 2014 Moto X still being on the conservative side of flagship screen sizes, The Nexus came out at a whopping 6″. Many who were looking forward to a Motorola-made Nexus phone were sorely disappointed that they’d only have a choice of a Motorola-made Nexus phablet. The other issue was price. Motorola had made a reputation for itself as they made fantastic phones with small compromises to reduce cost, and Google’s Nexus line had its own reputation for offering flagship-competitive specs at a much smaller price point. But the Nexus 6? It launched at $650. Ouch! Well, it was always possible that the design for the Nexus 6 was more dictated by Google than by Motorola, so many people were eagerly looking forward to what sort of smartphone Moto would introduce as the third-generation Moto X. Its first two offerings were excellent and competitive, and they seemed to be getting better every year. The few things left to improve upon were the 2014 Moto X’s somewhat-poor battery life and lackluster camera. People liked the 5.2″ screen size, and since most flagships fell between 5″ and 5.5″, people expected the next Moto X to be in that range. What did we get, instead? Two new Moto X’s—the Play and the Style—neither of which are entirely satisfactory, and only one of which will even be sold in the United States (rebranded as the “Moto X Pure“). At a glance, the Moto X Play looks like the spiritual successor to the 2014 Moto X, but it’s actually closer to the Moto G (great budget phone, by the way, but not a flagship). The Play has a 5.5″ 1080p screen, a brand new 21 MP camera, and a whopping 3,630 mAh battery. On the flip side, it boasts an underpowered Snapdragon 615, it has no gyroscope (bye bye Photo Spheres and Google Cardboard), and Moto abandoned AMOLED in favor of TFT—a very unusual decision considering that Moto Display is one of Motorola’s killer apps, and by its very design, it drastically benefits from AMOLED displays.Even more bizarre is the Moto X Style, which is re-branded as the Moto X Pure for the US. For starters, the Style is huge. After several years of evangelizing single-handed phones (and being in good company with Samsung and Apple—their best-selling phones have relatively smaller screens), Motorola seems to have decided that what consumers really want is a 5.7″ behemoth, and that a device of such size is still actually a phone, not a phablet. But really, most flagships have now settled in between 5″ and 5.5″. The Moto X Style is, in fact, identical in size to a Galaxy Note—a phablet—and it doesn’t even come with a stylus! And it’s also surprising that the Moto X Style/Pure comes with a much smaller battery than the Moto X Play—nearly 20% smaller, at 3,000 mAh—and this is despite a physically bigger, higher resolution 1440p screen and a more powerful, energy-consuming CPU/GPU combo. Said CPU/GPU combo, by the way, is barely an improvement over the 2014 Moto X’s Snapdragon 801 and Adreno 330 in terms of practical performance (in part due to the resolution bump). And like with the Moto X Play, the Style/Pure comes with a TFT screen. Now, there’s nothing wrong with TFT screens in general—Sony and Apple both use IPS, a kind of TFT—but one of the defining features of the Moto X line is its Moto Display function, which is predicated on the assumption of an AMOLED display. With a TFT display, your whole screen—not just individual pixels—will now be lighting up to display a tiny little notification icon. Motorola, A Google Company is an idea that everyone believed in, but Motorola, A Lenovo Company… maybe not so much. What was initially told to the public as a win-win situation—a way for Lenovo to gain access to top-tier smartphone hardware engineering and the US market, and a way for Motorola to gain access to developing markets and a complex global supply chain—seems to be something entirely different. Lenovo’s mobile branch was supposed to become Motorola; instead, Motorola seems to be becoming Lenovo. When Motorola was owned by Google, it was dedicated to no-frills value-added features on top of stock Android. This not only ensured a swift and expedient update process, but also set Motorola apart from its competitors: who else offered stock Android? Motorola promised the fastest updates, anywhere, and vowed that this was part of its product strategy—thanks to stock Android, you get the latest updates, features, and patches quickly, just as Google intended. But following Google’s announcement of Motorola’s sale to Lenovo, everything started falling off a cliff. Nearly immediately after the Lenovo deal was announced, the Motorola Advanced Technology and Projects (ATAP) group was moved from Motorola to Google, and Motorola lost a fair amount of high-profile employees, not the least of whom was the former Googler and CEO responsible for Moto’s turnaround, Dennis Woodside. From there, Motorola’s hyped Texas assembly plant was shut down (and with it their “Made in America” claims), and timely updates fell by the wayside. Not only has the Motorola update situation been a complete mess, since, varying wildly by country and carrier, but the original Moto X is still on KitKat on the two largest carriers in America—and few expect a Lollipop update, since the first-generation Moto X has now aged beyond its two-year support window. Don’t forget that this is the same phone that “Motorola, A Google Company” insisted would receive updates faster than anything but a Nexus. …the software and services team, the folks who are largely responsible for all the Moto-bred features we love today. Moto Voice. Moto Display. Moto Assist. Etc — the people responsible for those are gone, and will be replaced by Lenovo engineers. …Motorola might cut more than 500 people by the end of it all, according to sources. People flying in from Lenovo’s headquarters in China will be filling a lot of those roles. In short, it looks to me that Motorola is becoming Lenovo, not the other way around. Lenovo is literally replacing the team responsible for perhaps the one thing that really set Moto apart from its competitors with employees from abroad that are, presumably, firmly grounded in Lenovo’s corporate culture. Motorola’s latest boom-bust phase started when it was acquired by Google and began to be shaped into Google’s ideal model of an OEM. Motorola started off on a high note, delivering a near-flagship phone, cutting corners smartly to reduce price, and adding actually useful features to stock Android. The second-generation Moto X was a step in the right direction, but it wasn’t quite there, yet, in terms of competing head-to-head with the best smartphones manufactured by its rivals. But in 2015, Motorola split the Moto X into a bizarre and compromised variant (Moto X Play), which won’t even be released in the US, and a gigantic phablet variant (Moto X Style/Pure), which Moto insists isn’t really a phablet (it’s just identical in size to one). Following their acquisition by Lenovo, the update schedule has really taken a nosedive, and honestly, you probably won’t be any worse off choosing any other phone in terms of the timeliness of OS updates. As for the future of the Moto brand, anyone can make beautiful hardware (although I do love the Moto dimple), but one of the few things really made Moto stand out were its choice to offer stock Android with Moto Assist, Moto Display, and Moto Voice. Though Moto Voice has been largely integrated into stock Android by Google since Lollipop, Moto Display still works better than the competitors, and there are few alternatives for Moto Assist. The fact that the software team in charge of these innovations has been sacked and replaced by Lenovo employees is discouraging, and as a Moto fan, it leaves me with little hope for the future. 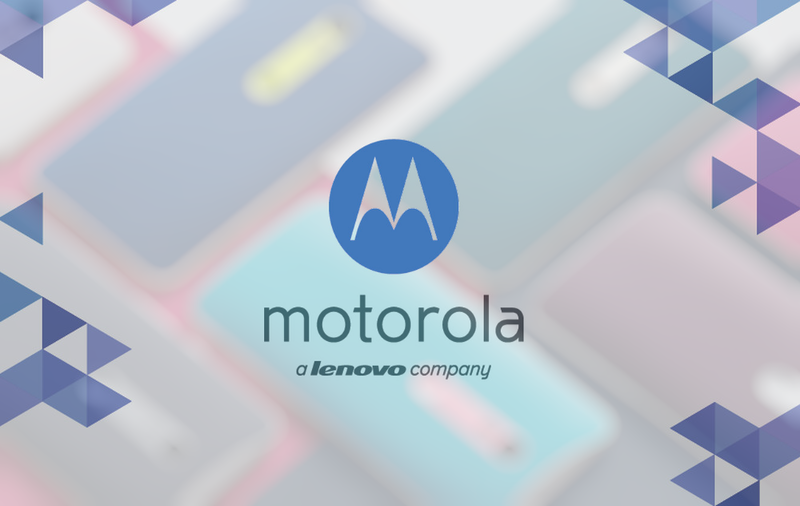 Do you think Motorola’s cycles will continue under Lenovo’s wing? Discuss in the comments!